An incline bench must not be missing in Hoist's legendary CF series either. Due to its easy handling and extra functions, this incline bench from Hoist clearly distinguishes itself from other gym exercise equipment. 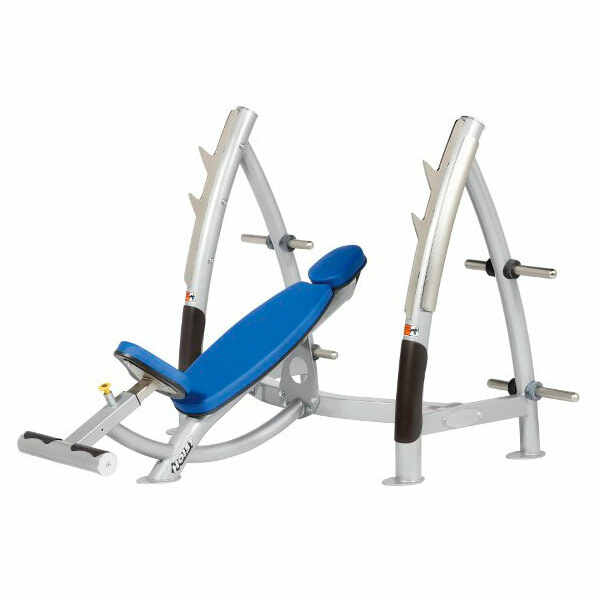 This almost most advanced incline bench's features are, among others, the curved frame which supports the user's natural path of motion, the convenient position adujustability with a spring bolt and EASY-GLIDE components and the scratchproof, nickelplated barbell rack. Obciążenia 50mm, gumowane W magazynie! Taurus sztanga 50mm W magazynie!